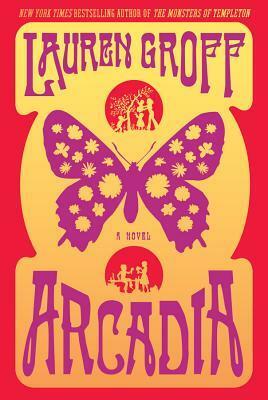 Arcadia by Lauren Groff is my first book of 2013. I enjoyed it very much, especially in the second half. The book is narrated by Bit, the child of Abe and Hannah, a couple of wonderful hippies who are founding residents of Arcadia, a sprawling commune in upstate New York. In the first half of the book, Bit is still very young, and I confess that I have a bias against fiction narrated by children. So I resisted, but I still found the boy’s voice engaging and the story compelling. Bit sees what’s going on and while he may not understand everything, he’s a sensitive and perceptive child. Among other things, he understands that Hannah is subject to mood swings—she is one person during the spring and summer, but withdraws come winter. Time passes and eventually Bit has moved on and grown up, but Arcadia is still part of him. It has shaped who he is and the people he loves are his Arcadia family. The heart of the story, for me, then, is what happens to Bit later in life and what draws him back to Arcadia. Groff takes some chances with this book. Although it seems clear where her sympathies lie, the Arcadians are not idealized at all. The flaws in the commune model are evident, but so are the qualities of the true believers, like Abe and Hannah. The last section of the book was something of a surprise for me, and I won’t reveal it. When I got there I was skeptical, but on reflection it really worked. It’s a book I highly recommend. This was my favorite read of 2012. Adored it.